Getting funding for great ideas is never easy. Or rather it wasnever easy. Now with the radically accelerated approach to funding from Cancer Research UK, great ideas have a great platform to get going fast. The Pioneer Award will fund research into truly innovative, ground-breaking ideas with the potential to lead to new discoveries or approaches that will help us better understand, prevent, diagnose or treat cancer. Awards will enable research into ideas with the potential for high reward to beat cancer sooner. Applications are welcomed from all investigators, no matter your background, occupation, or academic publication record. The films were shot at 500 frames per second. As ever with Cancer Research UK, their progressive thinking deserves a progressive visual representation. Applications can be made all year round, and will be judged anonymously by the Committee. All that’s required is an idea that could lead to the next major breakthrough in cancer research. There are clearly two big themes at play here: Speed & Innovation. The next bit requires an explanation— what is this all for? Well, to kill cancer ultimately… aaaand what’s fast and kills? Bullets. So we shot those lightbulbs, with guns, with bullets, and then filmed the whole thing at high speed. Showing all those amazing little ideas flying out of the bulbs — released by the impact of rapid fire funding… see what we did there? Long term photo collaborator Simon Warren took things to the next level as usual. The resulting images are incredibly memorable and provide the core set of visual assets to create the campaign BrandWorld. The world of awarding funds to life changing initiatives is typically a dull one. This challenges that preconception and raises the game. The team at Cancer Research UK have taken a typically innovative approach to streamlining the process to get more life-saving ideas to see the light of day. Got an amazing idea? Apply here! A brand for all of Parentkind. 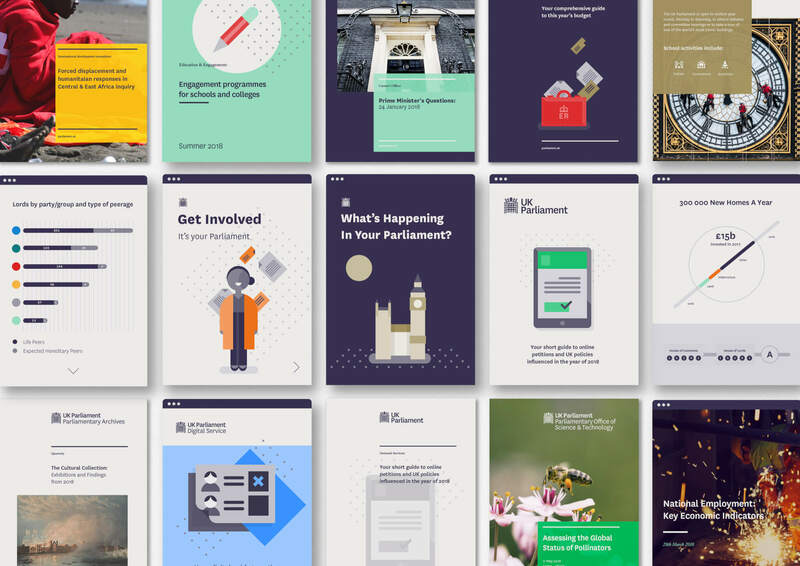 The first visual identity for UK Parliament.